If like us, you’re just back from holidaying you’ll also have reams of new images to process. So with this in mind we’ve come up with a new idea, to help you on your way we’ll give you a head start with our Nik Color Pro free Fly Preset download, just hit this LINK and you’ll have the preset I created yesterday when I processed this English holiday picture, it’s a good all-round preset, and it compliments our Flypaper Tin edges beautifully. If you guys approve and we get some nice feedback, we’ll then be encouraged to share more of our Nik Presets! The images location was from the grounds of Leeds Castle in Kent, where I spent a luxurious night after driving from France, taken quite late, well after the park had closed to outside visitors and thus had lovely clear views, stunning golden hour sunlight and plenty of tame peacocks to capture! Open Color Efex Pro 4 from the host application that you use (Photoshop, Lightroom or Aperture). Click “Recipes” in the left panel. Select the “.np” preset files you have saved and import them. These presets will then be located in the “Imported” section. Please visit our Pack page or Combo Pack page to buy Flypaper Textures. This entry was posted on Tuesday, September 3rd, 2013 at 8:55 am. 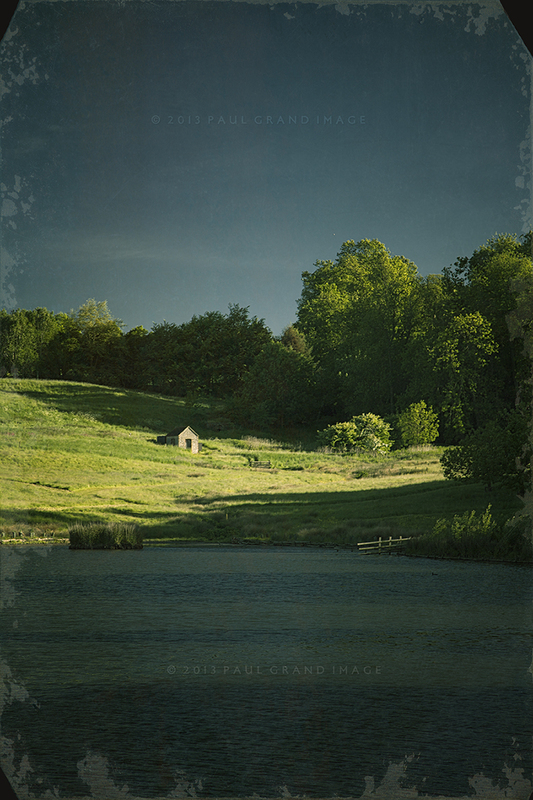 It is filed under Blog and tagged with idyllic, Nik, Nik preset, Paul Grand Image, tintype, Tintype Edges. You can follow any responses to this entry through the RSS 2.0 feed.